A good doctor, especially a holistic doctor, will recommend the best course of treatment to follow, based on a holistic model of you — who you are, your beliefs, the nature of your disease and your economic capabilities. A good physician will take a thorough medical history and physical examination, and perform both integrative and allopathic diagnostic tests to reach a diagnosis for his patients. Ideally, the doctor will discuss the physical, emotional, mental and spiritual contributing factors and the effects of the diagnosis. He should then suggest a pharmaceutical therapy, surgery, integrative medicine or a combination treatment. It can sometimes be overwhelming and difficult to decide which particular natural or integrative treatment is best for you. This article defines a comprehensive list of integrative treatment modalities, with a brief description of each to assist in the process and help you make an informed choice. The list contains the most popular integrative modalities, starting with the letter “A,” based on what is more commonly used in Arizona. Acupressure — Use of pressure on specific points of the body to relieve pain and discomfort or to release a meridian block that is causing a disturbance in the mind, body or emotional systems of the body. In doing so, the natural flow of energy through the meridian is resolved to normalize function of internal organs and body systems. In treatment, physical pressure is applied to trigger points with the aim of clearing blockages. Some medical studies have suggested that acupressure may be effective for helping lower back pain and in managing nausea and vomiting. Acupuncture — Use of fine-gauged needles inserted at various depths into specific points on the body to stimulate or disperse the flow of energy. This ancient Chinese technique is used to alleviate pain or increase immunity by balancing energy flow. 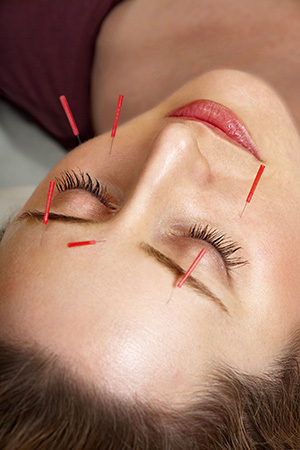 Massage, herbal medicine and nutritional counseling are often used in conjunction with acupuncture. It is not known how acupuncture works scientifically. However, we do know that it has therapeutic benefits, including pain relief and alleviation from nausea. According to traditional Chinese medical theory, acupuncture points are located on meridians through which chi (vital energy) runs. Because acupuncture treats the whole person, it has something to offer for almost every condition. Alexander Technique — This technique teaches people how to stop using unnecessary levels of muscular and mental tension during their everyday activities. It is an educational process rather than a relaxation technique or form of exercise. Practitioners say that problems are often caused by repeated misuse of the body over a long period of time, for example, by standing or sitting with one’s weight unevenly distributed, holding one’s head incorrectly, or walking or running inefficiently. The purpose of the technique is to help people unlearn maladaptive physical habits and return to a balanced state of rest and poise in which the body is well aligned. AMMA therapy — This therapy is concerned with the balance and movement of chi in the human body. The AMMA therapist relies primarily on the sensitivity and strength of the hands to manipulate and balance the life energy. Aromatherapy — Essential oils can be inhaled, applied externally or ingested. It is believed that the inhalation of essential oils stimulates the olfactory system, the part of the brain connected to smell. A signal is sent to the limbic system of the brain that controls emotions and retrieves learned memories. 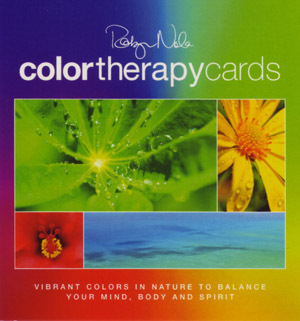 This causes chemicals to be released that can make a person feel relaxed, calm or even stimulated. If massage is included, the effect is further relaxation. Essential oils are said to have a direct pharmacological effect. Aromatherapists claim there is a synergy between the body and aromatic oils; however, no scientific proof is available. Nevertheless, some preliminary clinical studies have revealed positive results. Essential oils, phytoncides and other natural volatile organic compounds work differently. When targeting our sense of smell, they activate the limbic system and emotional centers of the brain. When applied topically, they activate thermal receptors and destroy microbes and fungi. Internal application (generally in prescribed form) may stimulate the immune system. Art therapy — This is a mental health technique facilitated by an art therapist. The clients use art media (drawing, painting, sculpture and other art forms), the creative process and the resulting artwork to explore their feelings, reconcile emotional conflicts, foster self-awareness, manage behavior and addictions, develop social skills, improve reality orientation, reduce anxiety and increase self-esteem. A goal in art therapy is to improve or restore a client’s functioning and sense of personal well-being. This practice also requires the therapist to have knowledge of human development, psychological and counseling techniques. Ayurvedic medicine (Ayurveda) — One of the world’s oldest medical systems, it originated in India more than 3,000 years ago and remains one of the country’s traditional health care systems. Its concepts promote the use of herbal compounds, special diets and other unique health practices. According to Ayurveda, each of us has a unique mix of three mind and body principles that create our specific mental and physical characteristics. These three constitutional types are called doshas — vata, pitta and kapha. Most of us have one or two doshas that are dominant, with the remaining one(s) less expressed. For each of these types, the treatment is different. Dr. Anna Nordin, M.P.H., is a licensed paramedic and a naturopathic medical doctor in north Phoenix. 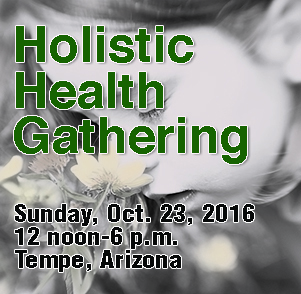 She has an integrative family practice and 25 years of allopathic and naturopathic practice. DrAnnaNordin@hotmail.com or 602-682-2012.